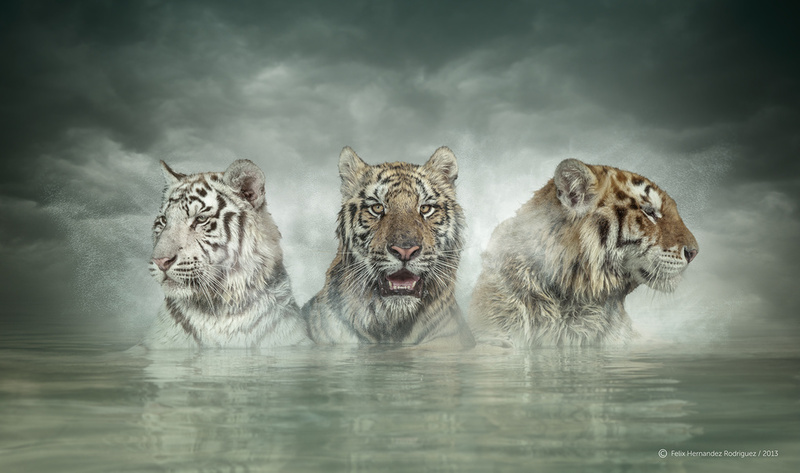 Shot at location, 3 tigers in the water, one shot... I was in the water with them, 3 Bengala tigers. Background is enhanced to do it more dramatic.